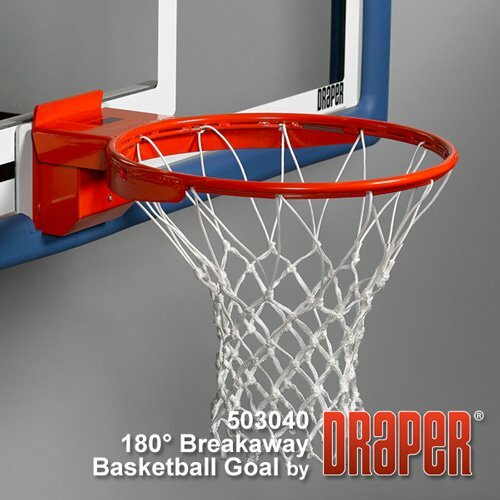 This goal provides consistent breakaway pressure even during the most aggressive slam dunk action. The ring assembly floats on chromium ball bearings for smooth any-direction flexibility. Constructed of high tensile steel and with all moving parts hardened for maximum life. Pressure release mechanism is field adjustable. Includes anit-whip net and mounting hardware. Fits both 48" and 42" bank. Meets NCAA and NFHS specifications.